A controversial novel set in an isolated, run-down community in the Andes. 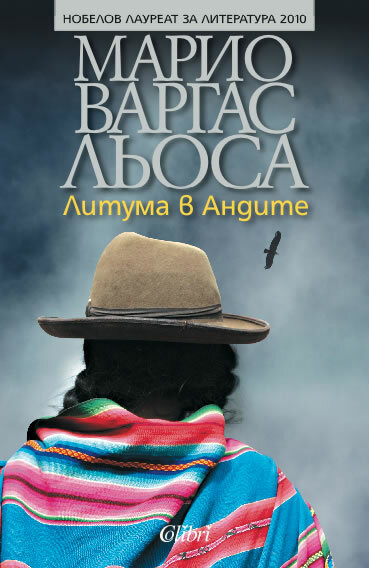 Part detective story and part political allegory, it offers a panoramic view of Peruvian society, of the country's recent political violence, and of its cultural heritage. The days are devoted to investigating the disappearances of the three men. During this investigation, you hear brutal stories of murder and politics of local residents and foreign tourists. The nights are devoted to Tomas, who spends each night talking about his love affair with the girlfriend (prostitute) of a mafia boss in Peru. The violence is graphic, but mostly because you have an inkling that it isn’t just fiction that is taking place in this book. Peru’s government is volitile, and paranoid. All the characters in this book are paranoid and on their guard. Spanish-peruvian writer Jorge Mario Pedro Vargas Llosa, is regarded as one of the creators (along with such writers as Julio Cortázar, Gabriel García Márquez, and Carlos Fuentes) of the new Latin American novel. He is a brilliant writer, seeming to understand human weakness to the core. In this novel he manages to build a pace of development which resembles a literary version of Bolero which simply explodes in the last 25 pages. Vargas Llosa is recipient of the 2010 Nobel Prize in Literature. Some critics consider him to have had a larger international impact and worldwide audience than any other writer of the Latin American Boom. Upon announcing the 2010 Nobel Prize in Literature, the Swedish Academy said it had been given to Vargas Llosa "for his cartography of structures of power and his trenchant images of the individual's resistance, revolt, and defeat". Vargas Llosa rose to fame in the 1960s with novels such as The Time of the Hero (La ciudad y los perros, literally The City and the Dogs), The Green House (La casa verde), and the monumental Conversation in the Cathedral (Conversación en la catedral). He writes prolifically across an array of literary genres, including literary criticism and journalism. His novels include comedies, murder mysteries, historical novels, and political thrillers. Several, such as Captain Pantoja and the Special Service and Aunt Julia and the Scriptwriter, have been adapted as feature films. He is the person who, in 1990, "coined the phrase that circled the globe", declaring on Mexican television, "Mexico is the perfect dictatorship", a statement which became an adage during the following decade. Many of Vargas Llosa's works are influenced by the writer's perception of Peruvian society and his own experiences as a native Peruvian. Increasingly, however, he has expanded his range, and tackled themes that arise from other parts of the world. Another change over the course of his career has been a shift from a style and approach associated with literary modernism, to a sometimes playful postmodernism. Like many Latin American authors, Vargas Llosa has been politically active throughout his career; over the course of his life, he has gradually moved from the political left towards liberalism or neoliberalism, a definitively more conservative political position. While he initially supported the Cuban revolutionary government of Fidel Castro, Vargas Llosa later became disenchanted with the Cuban dictator and his authoritarian regime.